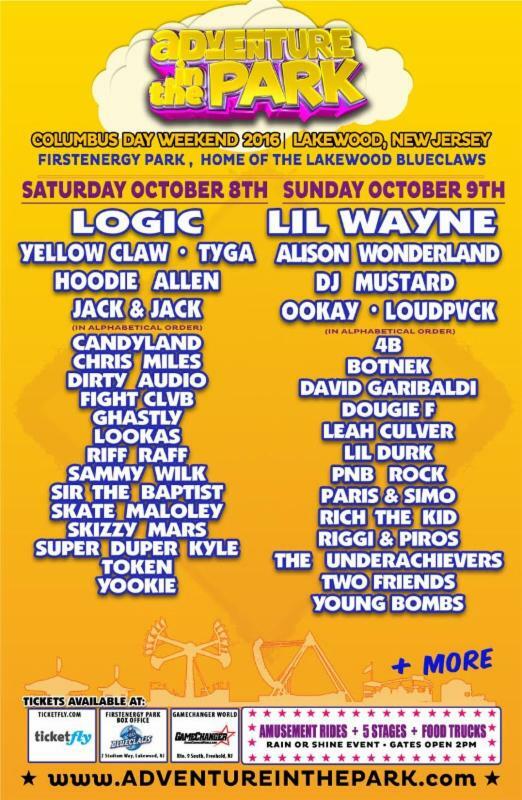 Adventure in the Park has been slowly becoming an amazing festival for Lakewood, New Jersey this fall. October 8th and 9th, the Saturday and Sunday of Columbus Weekend this year is building up to be the musical weekend you need to relax during this entry into fall. Hip-hop, dance and the combination of the two are the genres that make this festival something to look forward to. Well, that and the Amusement Park rides, the five different stages, and the food trucks that will be present. The lineups are almost completely announced, with the current lists being broken down by day, listed below. According to flyers, there will be more artists present. So make sure to be buy tickets to this awesome, fun-filled weekend.